Tessa was diagnosed in June 2016 with pre B-cell ALL leukemia. That May Tessa had her three-year checkup and her iron level tested a little low. Her pediatrician prescribed an iron supplement and asked that we return in a few months to recheck her levels. Tessa was not great about taking the supplement and was increasingly tired and pale. I decided to have her return to her pediatrician. This time her levels were even lower. Blood work was ordered and we went about our normal day. We were ordering lunch when my phone rang. It's one of those moments you never forget. Her pediatrician was calling and urging me to bring Tessa to our local emergency room immediately. That is the moment our family's life changed forever. Within hours Tessa was flown to UCSF Benioff Children's Hospital. Chemotherapy started the next day. 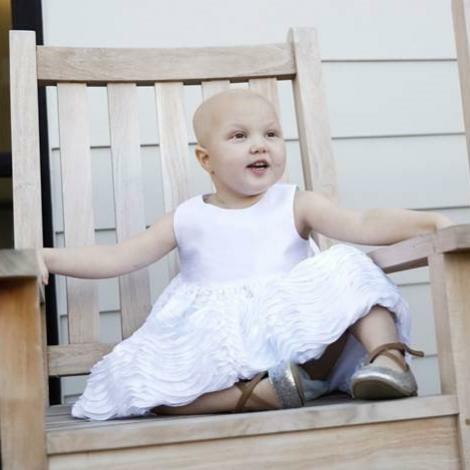 She spent the next month as an inpatient while she received her chemotherapy treatments. Boy did it feel good to come home. During the next six months, we would travel from Fort Bragg to San Francisco once sometimes twice a week for treatments. We are now in maintenance and only have to travel monthly for her chemotherapy treatments. Tessa will finish chemotherapy in August of 2018. Just in time to start kindergarten!